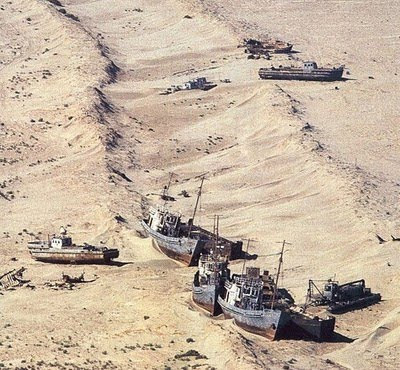 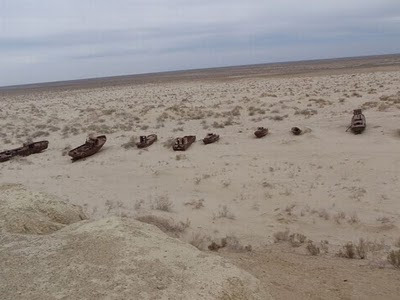 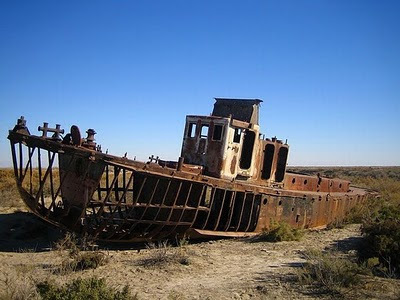 The demise of the Aral Sea was caused primarily by the diversion of the inflowing Amu Dar’ya and Syr Dar’ya rivers in 1960′s to provide irrigation water for local croplands. 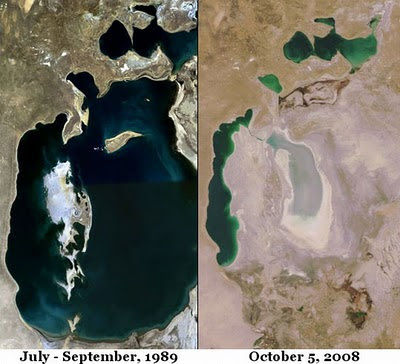 These diversions dramatically reduced the river inflows, causing the Aral Sea to shrink by more than 50%, to lose two-thirds of its volume, and to greatly increase its salinity. 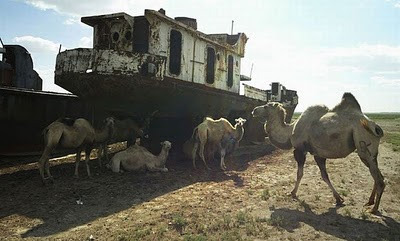 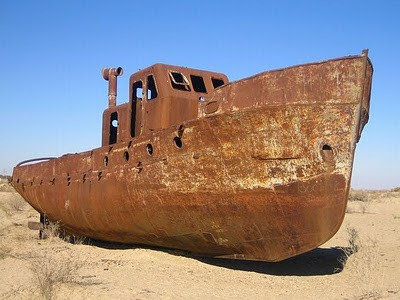 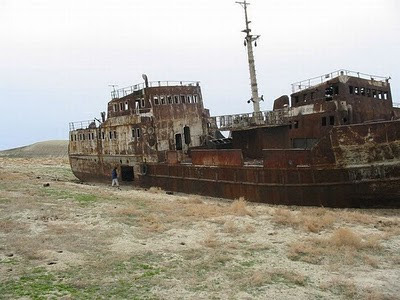 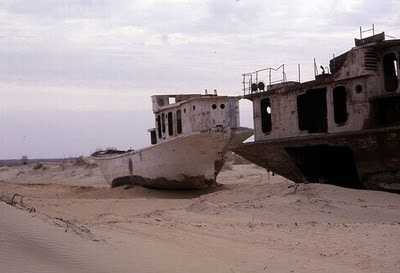 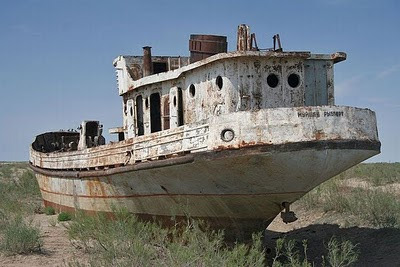 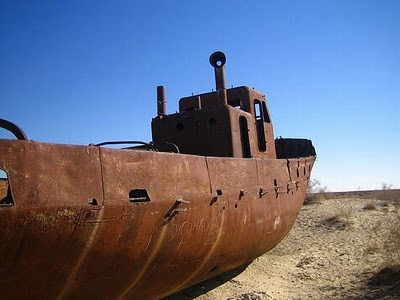 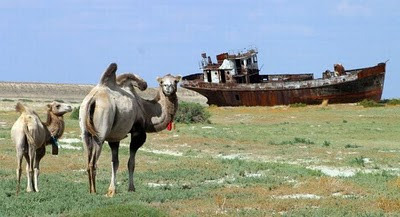 At the current rate of decline, the Aral Sea has the potential to disappear completely by 2020. 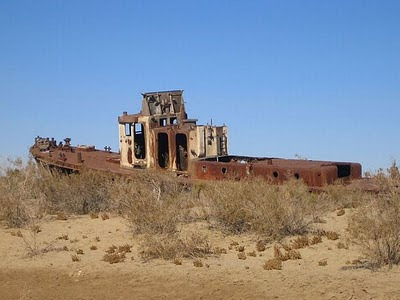 Now it’s almost gone leaving a dessert full of old shipwrecks.